As new technology becomes a part of our clean energy future, it is important to understand what they are and how they work. In this case, fluidized bed gasifiers have been around for over a hundred years, but are now becoming win-win solutions for companies and cities looking to fight rising costs and increasing greenhouse gas emissions. But what do these fancy words even mean? So here’s a quick look at four key questions and answers about fluidized bed gasification. 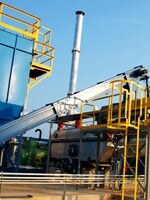 A fluidized bed gasifier is a technology that converts carbon-containing biosolids into syngas. The gasifier introduces biosolids to an oxygen-deprived environment and controlled temperature. A fluidized medium is then used to begin the reaction. In this case, air is the fluidized medium. The air is preheated with natural gas and, as it flows through sand, it bubbles. The organic biosolid feedstock is introduced when the bubbling occurs and operating temperature is achieved. A reaction occurs that converts the waste material into a syngas. 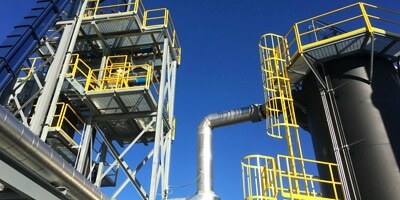 This sustainable syngas can be used for many purposes, often combusted in a thermal oxidizer to generate hot air that is then used in the sludge drying process., which removes moisture from the feedstock for the next batch in the process (see below). Syngas is also excellent for downstream uses, often as a substitute for natural gas. Gasification lowers costs compared to landfilling by reducing transportation costs, tipping fees, and land application costs. 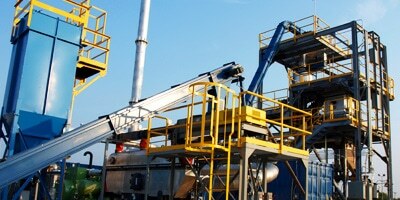 Moreso, by using waste to create energy, it essentially creates a closed-loop system. 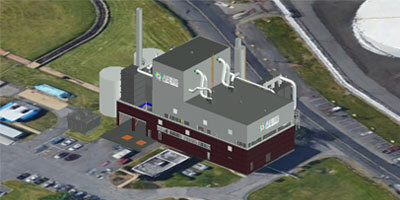 This system lowers a facility’s emissions output and creates green energy. 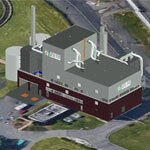 If a facility has zero-landfill or zero waste-to-landfill aspirations, gasification can help achieve this goal. What type of feedstocks are used? 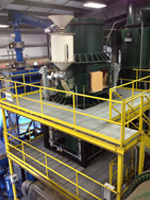 The feedstock for fluidized bed gasifiers can be waste from municipalities/landfills or industrial wastewater sludge. Currently, 100% of the feedstock is sludge, but plans for wood and municipal solid waste are in the works. With a bit more research and development, they’ll be ready to convert even more waste to energy. 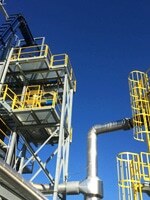 Fluidized bed gasification is specifically effective for processing biosolids from wastewater treatment plants. 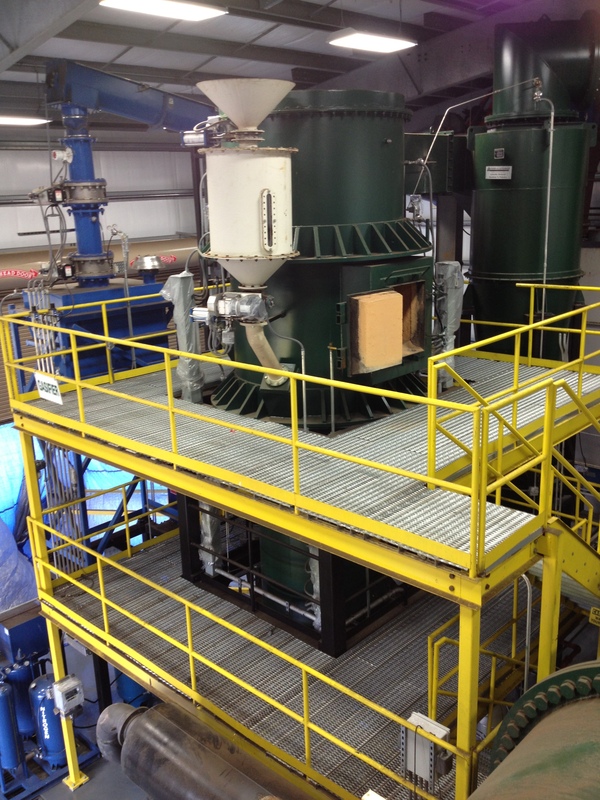 Gasifiers are scalable to the job at hand and up – to 300+ tons per day.